• Good material properties such as toughness, yield properties…etc. • Weight to strength ratio. • Good assembling property such as weldability…etc. For the purpose, the materials can be divided as ductile, plastic and rigid material. Ductile material means, it will regains its original shape after removal load. But the deformation will be permanent for plastic material. And rigid material will not deform for the applied load. But actually, these materials are not exists. 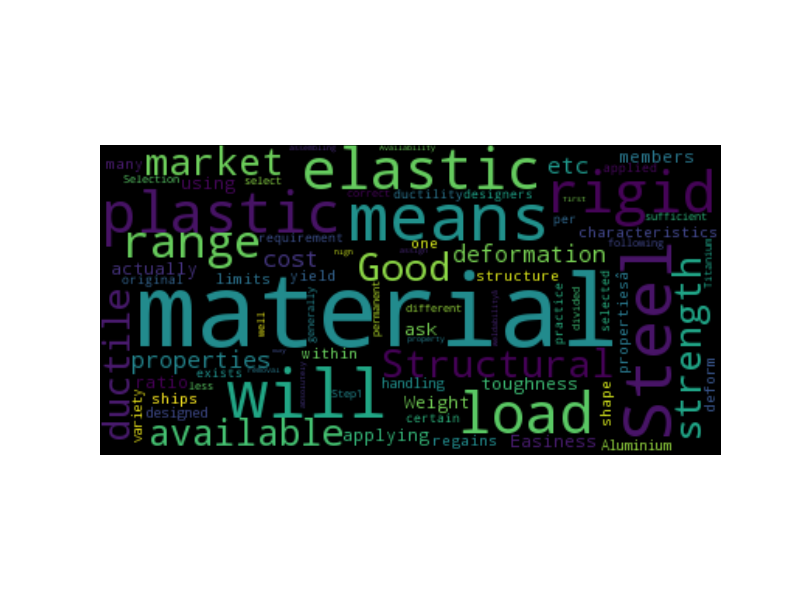 Which means, in real, no material is absolutely elastic, plastic and rigid. But we will assign the names if the deformations, and behaviour are within certain limits. Structural members are designed generally in an elastic range, means structure should be elastic while applying all the loads. In ships we are using different variety of steels as per requirement. Then you may ask why steel? Steel has high strength, less cost and sufficient ductility. This will be dealing separately soon. Stay online. Like the page for live updates, so that you will never miss one.